Grey Power is calling out the Government's failure to appoint an Aged Care Commissioner, saying it's time to "get on with it". It comes after disturbing revelations earlier this year about conditions inside rest homes - including that an elderly man died after being left with maggots in his feet. Appearing on RadioLIVE on Thursday, Grey Power president Mac Welch said he doesn't think conditions in rest homes have changed - and he's calling for the Government to take action. "That incident, which we're all well aware of, was absolutely shocking, it really was. It was a massive failure of the institution concerned. "There is always room for improvement and every now and again we get these horror stories. But it's not just in aged care facilities." 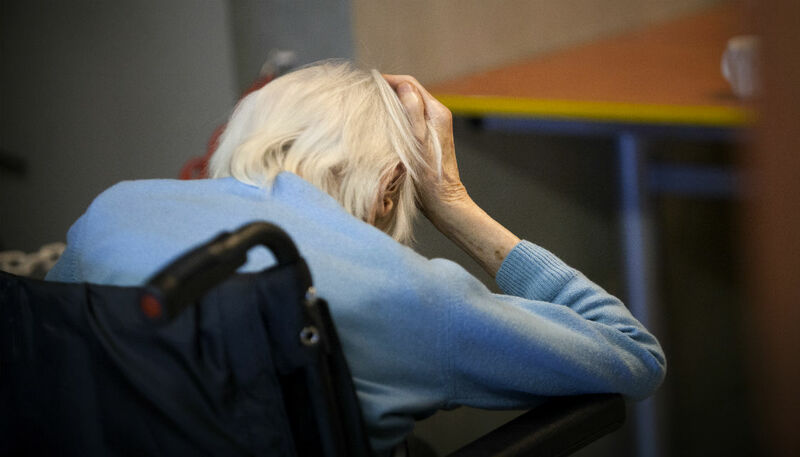 Mr Welch says Grey Power have spent the past three or four years pushing for the appointment of an Aged Care Commissioner to combat the abuse and mistreatment of the elderly. "What we've currently got is a bits and pieces - where you've got three, probably, different ministers with little bits of responsibility and then on top of that you've got a retirement commissioner," he says. "But no one person has got oversight of the whole thing and that's what we're looking for." Mr Welch said before the last election they'd held reviews into aged care around New Zealand in conjunction with Labour and the Greens. The final report found an Aged Care Commissioner was "urgently required" - and Labour promised to take action. "David Clark, the Minister of Health, made a commitment prior to the election in a speech he gave in Christchurch that the first Budget of a Labour-led Government would see the appointment of an Aged Care Commissioner," he says. But this appointment has still not been made, much to Grey Power's disappointment. RadioLIVE Morning Talk Host Mark Sainsbury has been running a petition calling for the establishment of the Commissioner, which currently has 13,724 signatures. Last week, Mr Welch had a meeting with Prime Minister Jacinda Ardern, Deputy Prime Minister Winston Peters and associate Minister of Health Jenny Salesa to discuss the appointment. But it's left him less confident that action will be taken. "Up until that meeting I was fairly confident that it was on the horizon and it was just a matter of time," he says. "But I believe that Jenny Salesa, who is associate Minister of Health, has been appointed to investigate the appointment." "What more is there to investigate? They made the decision, we know New Zealand First would support such an appointment. Why the hold-up? I'm starting to get a little bit nervous. "The time for looking's been done. The investigations have all been done. The facts are there. Let's get on with it."